Here's the Nonsense: There's not much of a difference between Hillary Clinton and Donald Trump as president. Either would give us about the same results. 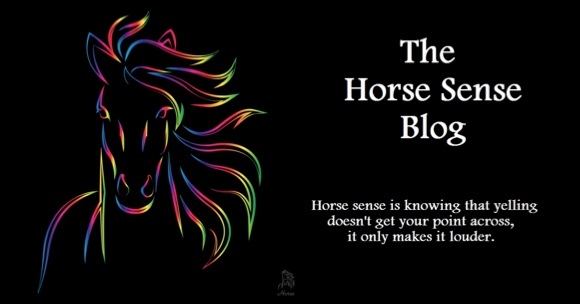 Here's the Horse Sense: There's a huge difference between the candidates. Even if you only look at one issue like open borders and immigration, the difference is so great that anyone who cares about the future of America has only one choice. Let's face it. You really only have 2 choices in this presidential election: Hillary Clinton or Donald Trump. And some people still question what Donald Trump will do if elected president. In fact, a small number of them who are anti-Trumpers insist that because he hasn't given an exact, detailed list of what he will do that we cannot be sure that he won't be a dictator. There are many posts I could write about that, but it's so stupid that I won't waste my time writing it or yours reading it. What we do know is what Hillary Clinton will do if she's elected and that's reason enough to be scared to death of her winning this election. One of her biggest promises will turn America upside down by May 2017, only 100 days after she'd be inaugurated. Breitbart News is reporting that Hillary has committed to enacting immigration reform (pronounced "amnesty") within her first 100 days in office. In other words, we might as well plan on open borders because that's where she'd take us. The article says that amnesty for America's illegal immigrant population would cost taxpayers $6.3 trillion. And that's just part of her plans for increased spending that would push our already bankrupt nation into such poverty that no one will recognize America any longer. The America you grew up in would be nothing like what it would be once Hillary gets control of it. So, not only will we increase the number of welfare recipients that tax payers have to pay for, but we'll increase the risk of terrorism by increasing the number of people from the Middle East that will be brought into America without any way to do any vetting of them. You may think there are many issues that are important when it comes to the 2016 presidential election. But the fact is there are really only a few issues that will determine the election. One of those is the economy and jobs. Another is national security and defense. And the other is America's open borders and immigration. Sure, there are other issues, but these are what will drive the majority of voters to their decision this election season. Any one of these issues has Trump doing far better things for America than Hillary. But the issue of open borders and immigration should be enough all by itself for anyone to realize we can't risk a Hillary Clinton presidency. There really is only one choice for anyone who cares about the future for their children and grandchildren.